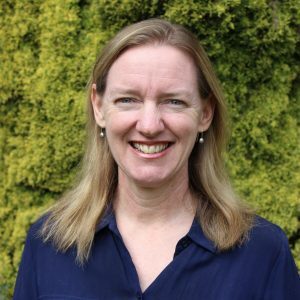 Fiona Hastings commenced as Principal, Sancta Sophia College in February 2018. Fiona graduated with a social work degree from UNSW in 1995, and has worked in social care settings ever since. Fiona began her career as a policy officer with the NSW Department of Corrective Services, primarily working on issues affecting women in prison. Fiona stepped into the non-government sector in 2004, managing Guthrie House, a residential rehabilitation service for women leaving prison. In 2007 Fiona joined CatholicCare in the Diocese of Broken Bay, managing Family Centres on the Northern Beaches and Lower North Shore. Whilst there, she completed a Masters of Business Administration with AGSM at UNSW. In 2014, Fiona joined CatholicCare in the Archdiocese of Sydney as General Manager of the Children and Families Division. Fiona has held board positions with two Catholic schools, and with Phoebe House, a residential service for women and children. “Fiona brings such an exciting mix of talent to the role, including extensive social work experience combined with an MBA. Whilst we will be very sad to lose [our current Principal,] Dr Marie Leech, the College has such a lot to look forward to.” – Cathleen Crossley, Chairman, Sancta Sophia College Council. Fiona is well supported by her excellent husband Anthony Frazer who is a primary school teacher and musician, and their three amazing children Andrew, Will and Sophie.